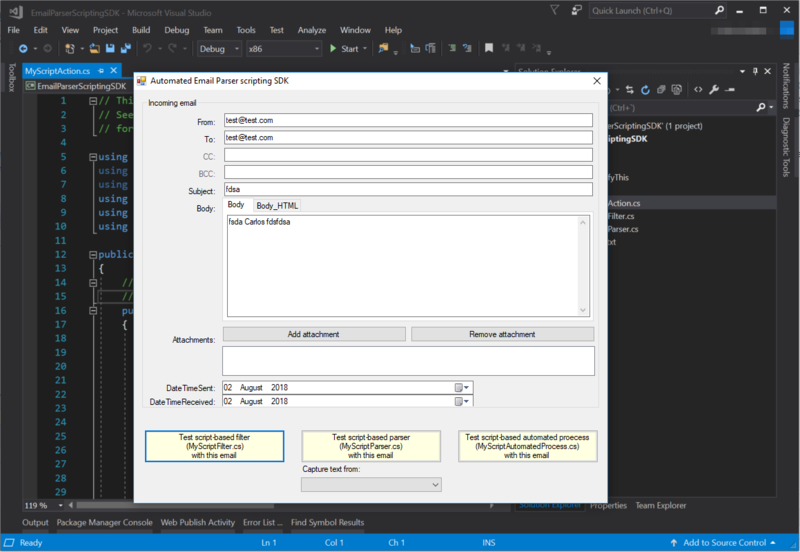 You can write your scripts in EmailParser directly but it is not as convenient as writing them in a fully-fledged development environment like Visual Studio. It is highly recommended to have autocomplete, debugging and other useful tools that an IDE like Visual Studio provides, especially if you are writing a complex script. The SDK you can download here is meant to help you do that.